Schiaparelli has finally received fashion’s highest honor—Haute Couture status awarded by the French Ministry of Industry and the French Couture Federation. 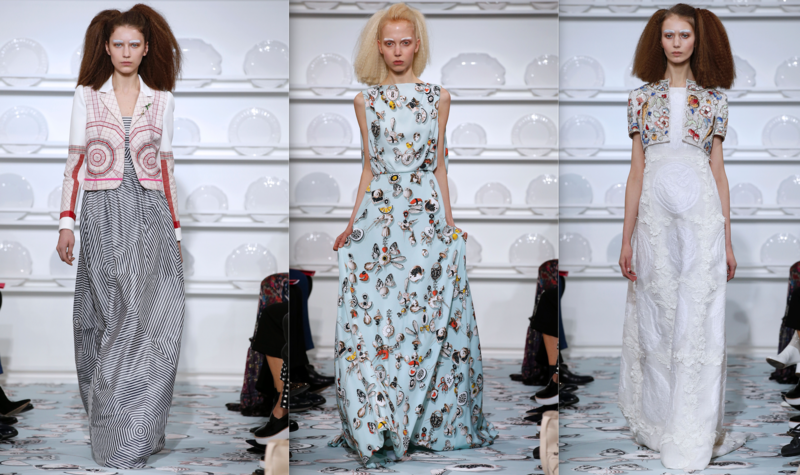 The storied French house, originally founded in 1931 during the height of the Great Depression by designer Elsa Schiaparelli, has been showing under guest status at Couture Fashion Week since its relaunch in 2014. Schiaparelli began her foray into fashion in the mid-20s. From 1934 to 1940, Schiaparelli was known for using Surrealist motifs in her designs and collaborating with artists like Salvador Dalí, Jean Cocteau, Albert Lesage, and Jean Clément. She eventually closed her couture house in 1954 to write her autobiography Shocking Life. The house was revived in 2014 when Italian fashion titan Diego Della Valle purchased Schiaparelli and placed Rochas’ Marco Zannini at the helm. A year later, Bertrand Guyon, who came from Valentino, came on board to replace Zannini as creative director and has been receiving praise from fashion critics like Suzy Menkes. 2017 marks the house of Schiaparelli’s 90th anniversary.